The 2016 New England Academic Convocation in Boston, Massachusetts is a joint effort between MIT, Boston University and The Harvard lodges, and it is a unique cooperative program between the fraternity and academia. This year, it will take place over a three day period, from Thursday March 31 through Saturday, April 2, and at two different locations. Every event is FREE and open to the public. There is a $45.00 charge for the dinner on Saturday evening, but you'll get your money's worth! Reservations for EACH INDIVIDUAL EVENT must be made at the Eventbrite website, and should be made as soon as possible. Thursday, March 31st, 8:00 PM - 10:00 PM. 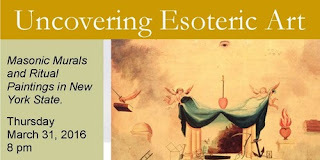 On Thursday evening, a presentation will be given on Masonic murals and paintings, and the esoteric art therein, with a focus on the state of New York. Attendees are encouraged to come with questions! Following the presentation, there will be an opportunity to purchase books as well as to network and discuss the topic. The presenter will be Dr. Joscelyn Godwin, author of The Theosophical Enlightenment, Upstate Cauldron, Music and the Occult, The Golden Thread, and many others. This program is organized directly by the BU College of Arts & Sciences, but is made possible through donations from Boston University Lodge A.F. & A.M. and its members. We all know Hiram Abiff and his fellow Phoenicians helped build Solomon’s Temple -- but do you know what the Phoenicians did when the Great Pyramids were being built? Or the many other ways they contributed to Masonry? This is a rare opportunity to hear the intriguing things these people did to shape important moments in history -- and elements of our Masonic heritage -- from historian Sanford Holst, the author of “Phoenician Secrets”. The Convocation of Academic Lodges (or Academic Convocation for short) was first formed as a way for the MIT, BU and The Harvard lodges to assist each other in their respective work. Since then, the format has been expanded to help men from throughout the Fraternity develop leadership skills, promote the development of academic lodges, share philosophical knowledge and most importantly, enjoy the fraternal company of brothers. The event is FREE and open to the public, and will be an all day event which includes tours of the Grand Lodge building in Boston, a keynote speech (see below), and activities of interest for Masons and non-Masons alike. To top it all off there will be an excellent, multi-course dinner to enjoy with your friends, family, and Brothers (note that there is a fee for dinner, but you will absolutely get your money's worth! ).A special thank you to Gethsemane-DeMolay Commandery, without whose generous support by sponsoring our Keynote speaker, we'd have to charge for the convocation AND the dinner. 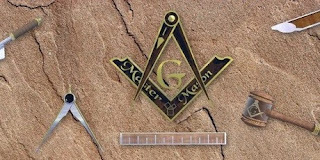 The Keynote: "Freemasons, Stonemasons, and the Knights Templar"What connections existed between Freemasons, stonemasons and the Knights Templar? John Robinson began this work in his book “Born in Blood” before he passed away. The 20 years since then have added a number of surprising insights that now take this work in a new direction. These things also reveal some honorable aspects of Masonry that were hidden from us until now. Experience the deeds of extraordinary Freemasons, stonemasons and Templars -- and see what they contributed -- as told by Sanford Holst, the author of “Sworn in Secret”. Sanford Holst served as Master of the Southern California Research Lodge for two years, is a 32o Mason in Scottish Rite, and a Knight Templar in York Rite. Working as a historian before he became a Mason, Holst presented academic papers at universities in the USA and overseas, which led to his being elected a member of the prestigious Royal Historical Society in England. 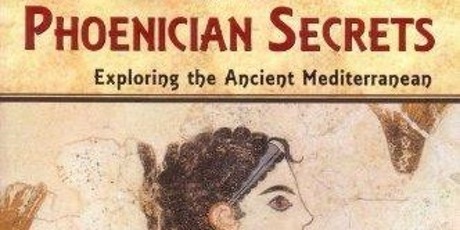 His research into the Phoenicians who helped build Solomon’s Temple caused him to walk into a Masonic lodge one day, and he has been a brother ever since. A natural explorer, he has been into all the nooks and crannies of Masonry across America, through Europe and within the holy sites on Temple Mount in Jerusalem. The Grand Secretaries of England, Scotland and Ireland helped his work and made rare documents available for study -- which resulted in some intriguing discoveries. He earned a bachelor’s degree at MIT, rowed crew against Harvard, and was president of Phi Kappa Sigma fraternity on Beacon Street near Boston University. He received his master’s degree at UCLA, and still lives in Southern California. Additional information about the convocation, the schedule, and the speakers can be found at http://academicconvocation.mitlodge.com - check back often for updates!